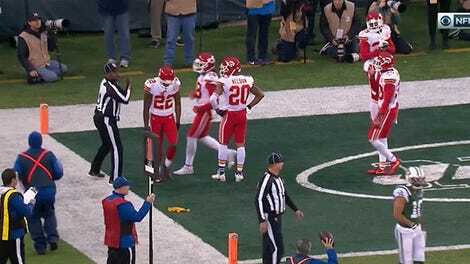 The Kansas City Chiefs, once 5-0 and Super Bowl favorites, are in a freefall. 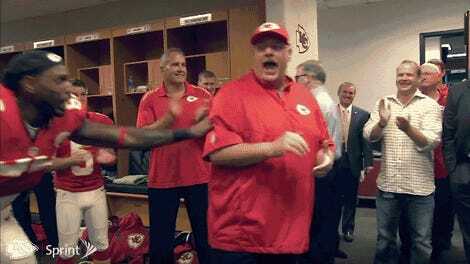 They’re 6-6 and tied with two other teams atop the AFC West. On Sunday, they went up 14-0 on the Jets five minutes into the game—and lost, 38-31. 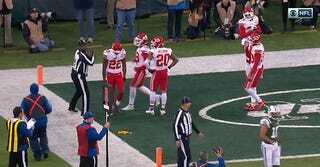 In the fourth quarter, the Chiefs committed several penalties that contributed to the Jets taking that final lead. One negated a field goal and allowed the Jets to go for a touchdown. Another came on the two-point conversion attempt, when a holding call gave the Jets another try. After the holding call, cornerback Marcus Peters picked up the flag and threw it into the stands. Today, Andy Reid announced on a radio show that he would suspend Marcus Peters for Sunday’s game. After the penalty for throwing the flag into the stands, Peters simply left the field. He likely figured he’d been ejected, but he wasn’t. 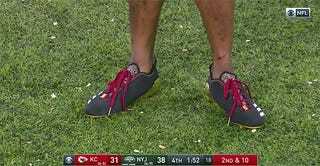 He later returned to the field without socks for some reason. The Chiefs host the Raiders, also 6-6, this weekend.